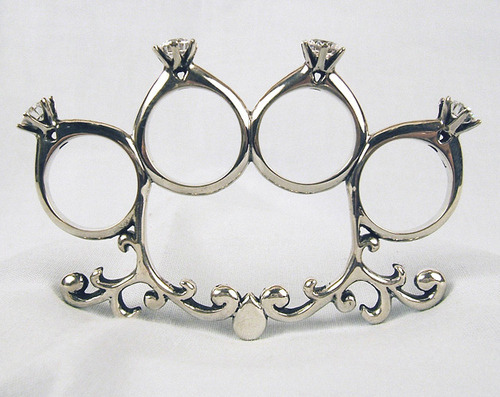 Unusual Jewelry of the Day: “’Til Death Do Us Part” engagement ring knuckle duster by Kate Bauman. 4” x 3”. Sterling silver, cubic zirconia. 2006.